Yellow jackets are the cause of most stings people attribute to bees. Yellow jackets' food is primarily other insects, but will eat fruit, garbage, and almost any picnic item from hot dogs to soda. 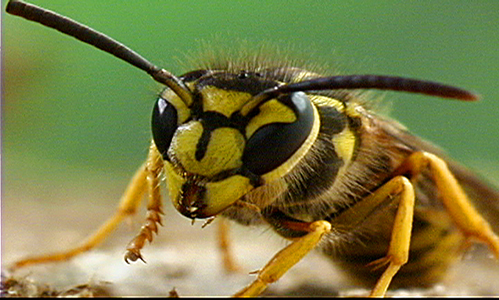 Yellow jackets will vigorously pursue an intruder who threatens their nest and are generally considered the most dangerous of the social insects.